Toylab bloggers love the Code-A-Pillar the fun toy that teaches kids the art of sequencing that is a crucial part in learning how to build computer program aka to Code. Coding is getting hot for good reason as its a critical skill for the next generation. The main Code-A-Pillar set comes with a set of group of moves it can do but your toddler may quickly want it to do a little more. This is where Fisher Price smartly added expansion packs. There are 3 different expansion packs so far and we are going to review each one and let you know which ones we like the best. This pack adds a forward, left turn and right turn segments. I really like this one because it just give your toddler a few more pieces that are easy to understand. To me the fun part of the Code-A-Pillar is making it move along a course or from spot A to spot B. It allows the toddler to solve just a little more complicated of a problem and increases the variability making it more fun. While this makes the Code-A-Pillar more fun I also don't see it making it overwhelming. If anything providing these pieces make the Code-A-Pillar easier to use. Some might even argue that this expansion should have come with the Base Set. Bottom line I really like this expansion and highly recommend getting it with the base set. 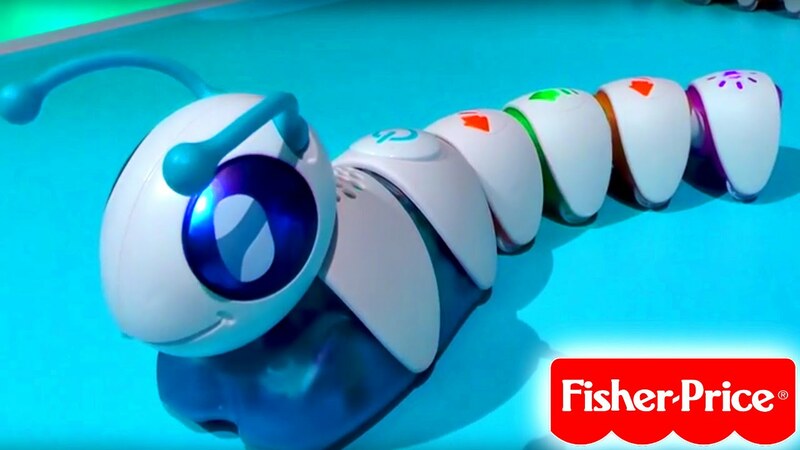 Code-a-pillar™ inspires little learners to be big thinkers! Preschoolers can develop important skills—like problem solving, planning & sequencing, and critical thinking—as they arrange (and rearrange!) these additional, easy-to-connect segments to send Code-a-pillar™ on all sorts of different paths. Add Go Forward, turn right 90 degrees, and turn left 90 degrees ... your wish is his command with this Code-a-pillar™ expansion pack! Make the Code-a-Pillar™ grow and go! Forward—Add this piece and Code-a- pillar™ moves straight ahead! 90° right turn— This piece makes Code-a-pillar™ turn right. 90° left turn-- Add this piece for Code-a-pillar™ to make a left turn. This set I tend to overlook because when my toddler plays the game is normally trying to get the Code-A-Pillar to go somewhere along or through something. This pack does not provide any segments that help the Code-A-Pillar move instead these make the Code-A-Pillar make different noises. That said I can see how making the Code-A-Pillar go to sleep or act goofy could be a lot of fun for a kid. One warning to parents on this one is that the Code-A-Pillar has no mute button. If you buy these sounds you might be listening to them.......A LOT! Add these to Code-a-pillar™ to make him grow and go! 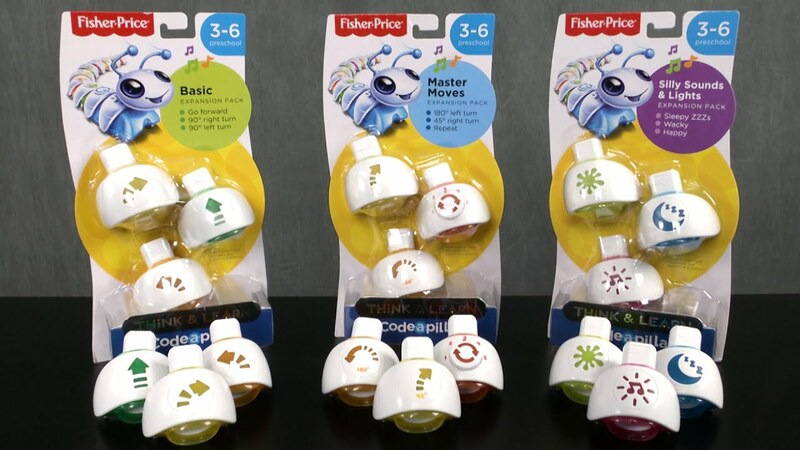 Code-a-pillar™ inspires little learners to be big thinkers! 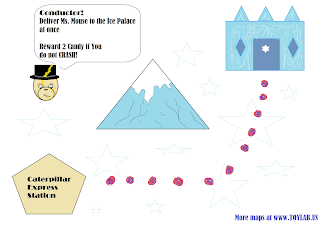 Preschoolers can arrange these additional easy-to-connect segments in endless combinations to send Code-a-Pillar™ on its path. This encourages experimentation while developing important skills including problem solving, planning and sequencing, and critical thinking. Your wish is Code-a-Pillar™’s command with this zany expansion pack! The master Moves comes with a 45 degree turn, a 180 degree turn and the a repeat segment. The repeat segment is pretty cool but may baffle toddlers at first. Basically you flip a switch on it between 1 and 5 and the Code-A-Pillar will repeat the action the repeat segment is attached to the number of times you have set. Its pretty cool but will likely be overlooked at first. I like how they named this one the Master set because I think that is how this set is best used. Let your kids figure out the basic moves and do some things. Then add this in later. Below we have found a great deal on the Coding Cadipillar that is 10 under market price.